Though still a fraction of total sales, e-commerce is playing a deep (and occasionally devastating) role in retail. 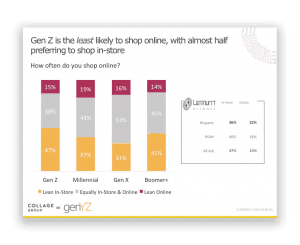 This presentation provides a deep dive on emerging Gen-Z and millennial e-commerce behavior, including online path-to-purchase, examining what they purchase online, the drivers behind the choices, and what it means for retailers and brands. Through the use of a new machine learning methodology, Collage Group has uncovered the role that culture plays in advertising success and determined the advertising enablers that best engage the U.S. multicultural population. Join us for a webinar in which we’ll examine everything from messaging to casting to tone, to determine the drivers that predict highest engagement levels in diverse populations using our innovative new Groundswell and Backlash metrics. We’ll also unveil rankings of advertisements by segment. Much has been written about millennials and their apparent reticence to buy cars and homes. However, a lot of this can be chalked up to lifestage. How do generations that grew up during the “Great Recession” differ in their approach to money and financial services? 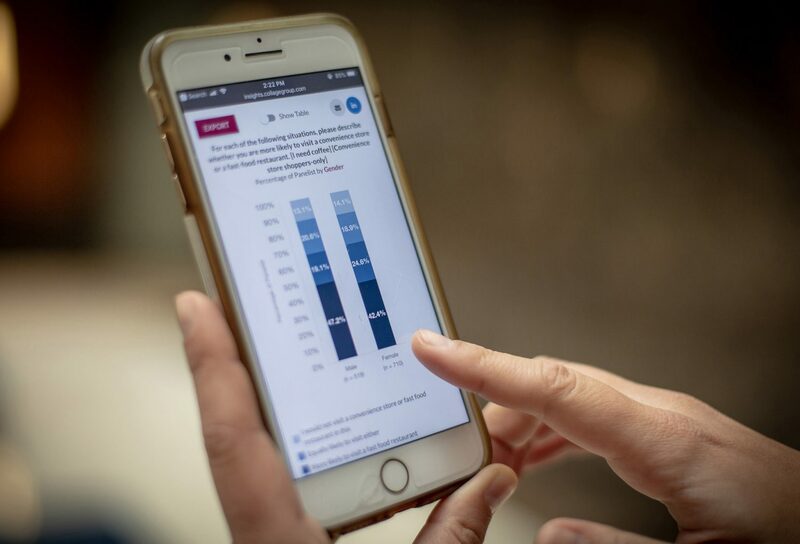 Financial education: How financially literate are young consumers and where do they turn to learn about finances? Acquisition: When do they first acquire financial products such as credit cards and loans? Payments and credit: What is the role of peer-to-peer transactions apps? Financial planning: What is their approach to savings? 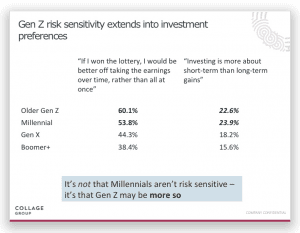 Are millennials planning for retirement? What’s their risk tolerance for different types of investments. While the rise of e-commerce has been well documented, it is usually understood in aggregate. What is less explored is what the shift means for multicultural consumers. Diverse consumers’ different geographic areas, language barriers, and payment options all impact what they do and don’t purchase online. This initiative will explore multicultural consumers in the Amazon economy and how brands and retailers can capitalize on new trends. 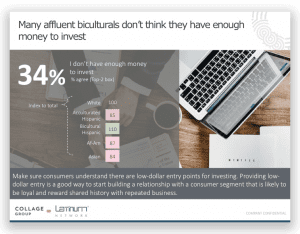 Affluent Hispanic, Asian, and African-American consumers are somewhat of a mystery. While much is written about the harsh financial realities of the working class of these populations, there is a gap when it comes to understanding the behaviors, values, and financial management habits of higher earners. Join this webinar to learn what makes these segments tick and what brands must do to capture their business. 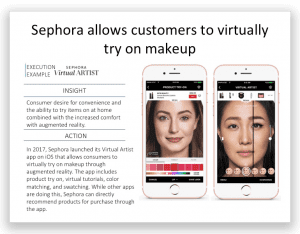 Values and beliefs: Does broad messaging that resonates with multicultural consumers also work with affluent multicultural consumers? Servicing: What types of financial products do high-earning Hispanic, Asian, and African-Americans seek? Financial Planning and Retirement: What role does culture play in conceptions around savings and retirement? 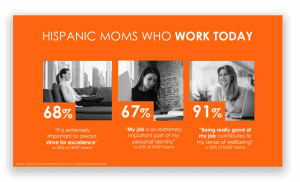 Univision joins us to present a webinar on the popular topic of Millennial Moms, originally featured at our December Executive Roundtable. Parents, and moms in particular, have historically been an important target for many categories and brands. That target has been changing in the past several years as households look different, which means decision makers and shoppers also look different today than they did just 10 years ago. This is a consumer that no brand can afford to ignore. 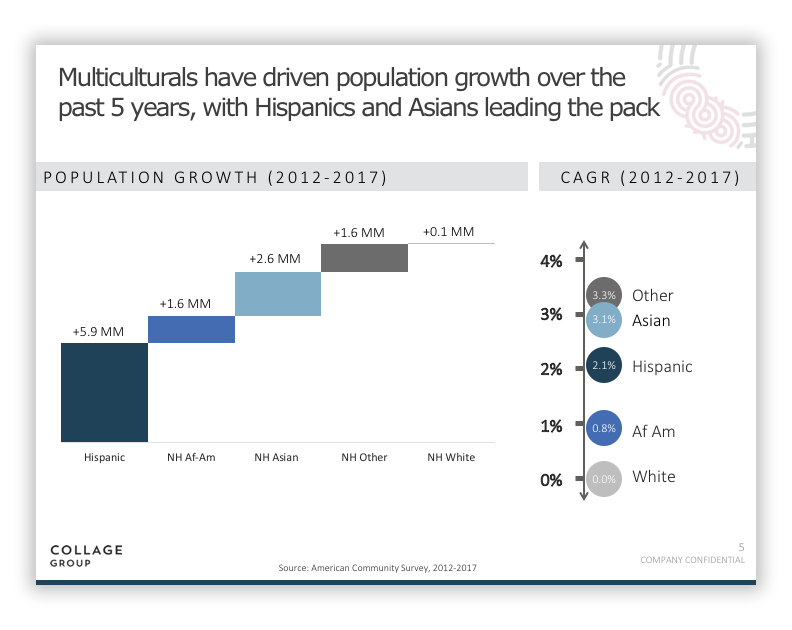 Multicultural segments have driven 100% of US population growth over the last five years, and are projected to continue driving growth for the foreseeable future. As the multicultural population grows, it will become increasingly important to understand how segments are similar to and different from each other to ensure your messaging is appropriate and effective. This webinar will introduce you to our essentials series for multicultural marketing. 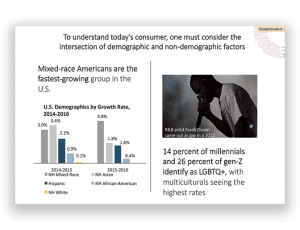 The series consists of three studies (one for African-Americans, one for Asian-Americans, and one for Hispanic-Americans) and covers topics such as demographics, economic opportunity, media use, cultural values, and passion points for each segment.